The Stella Silk lampshade by Koziol is characterised by a multi-bevelled dome that, combined with the elegant diamond cut appearance, provides a luxurious effect in any room. The colours and reflections it casts on walls and ceilings recall the magic of a Baroque chandelier while its matt surface contributes to atmospheric lighting. The design received the iF product design award in 2012. The Stella Silk lampshade is ideal to illuminate the living room, hallway or bedroom. In addition, several can be arranged in a cluster or row over the dining table, offering an artistic installation as well as an eye-catching feature. 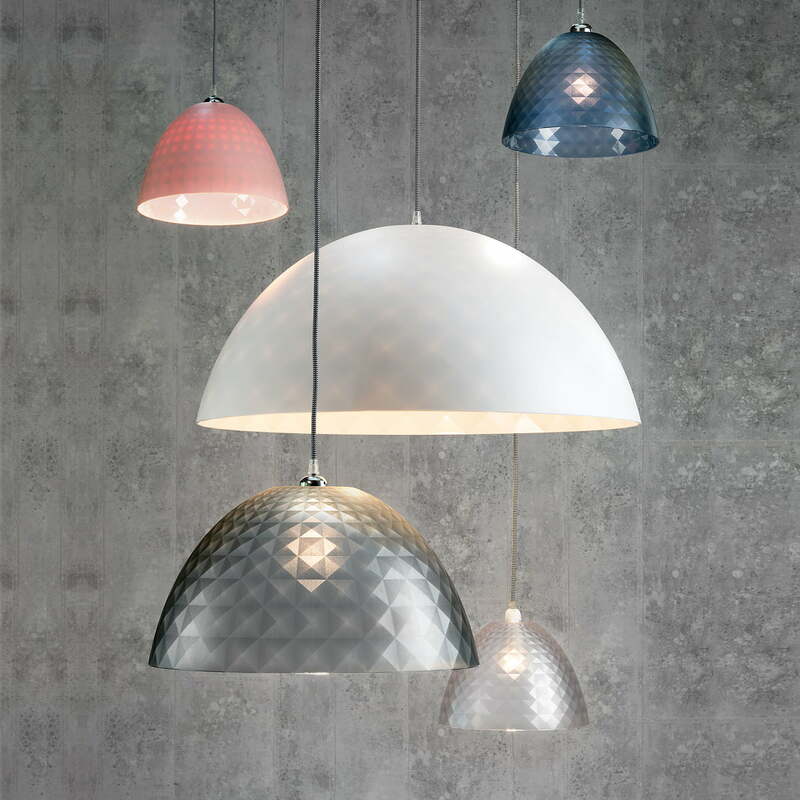 Thanks to the separately available cable sets for lampshades by Koziol, the light can be individually customised. The Stella Silk lampshade is available in the sizes S, M, XL, as well as in a wide range of colours. 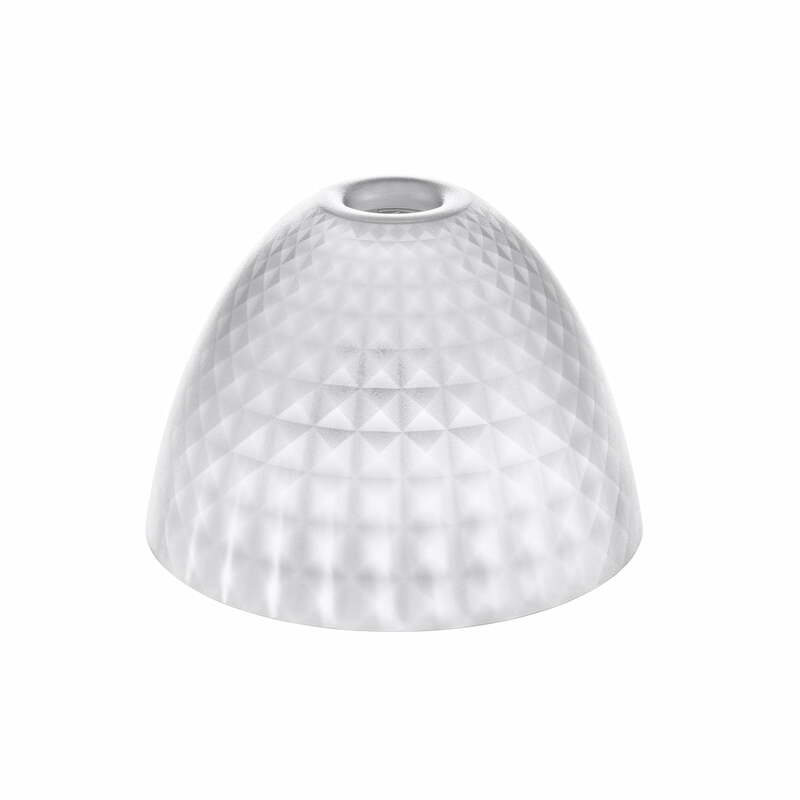 Isolated product image of the Koziol - Josephine Lampshade S. The lampshade is perfectly suited to create a stylish light effect in every living room. 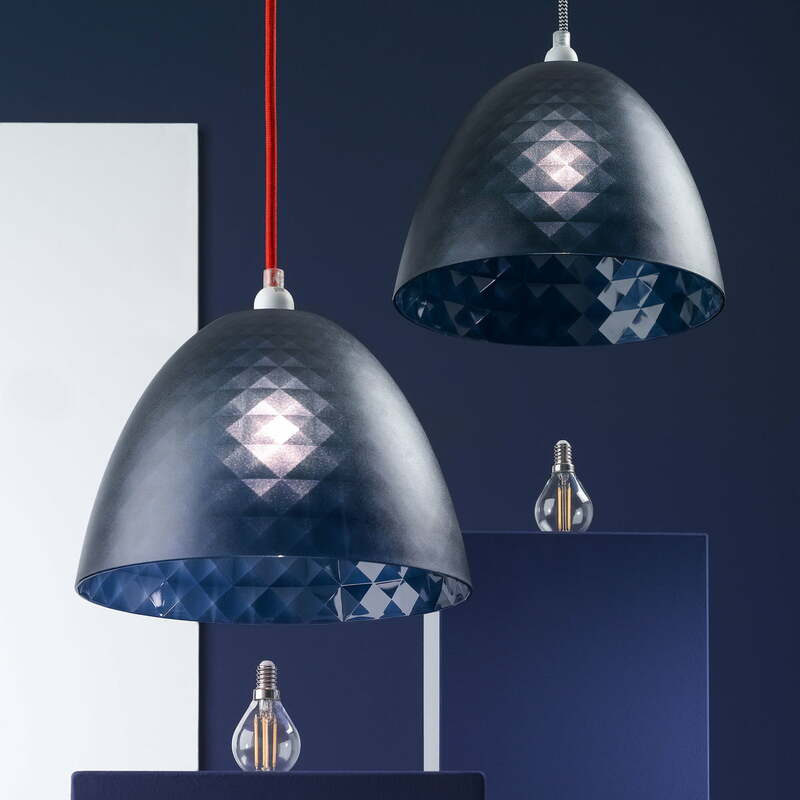 Lifestyle product image of the Koziol - Stella Silk lampshade. Available in various colours and sizes and with mix-and-match cable sets, stunning combinations can be created. Lifestyle product image of the Koziol - Stella Silk lampshade. The different colours and sizes can be combined perfectly with each other to create a special ensemble of lamps.